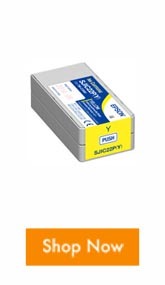 Why over pay for pre-printed media? When it comes to an admission control system, you need a printer that can print and provide all the essential information on the ticket to up-stand a quality event. 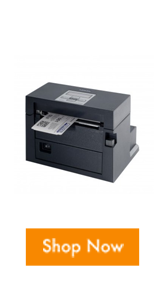 The Citizen CL-S400DT can produce quality tickets with all the information needed with a fraction of the cost compare to other suppliers. 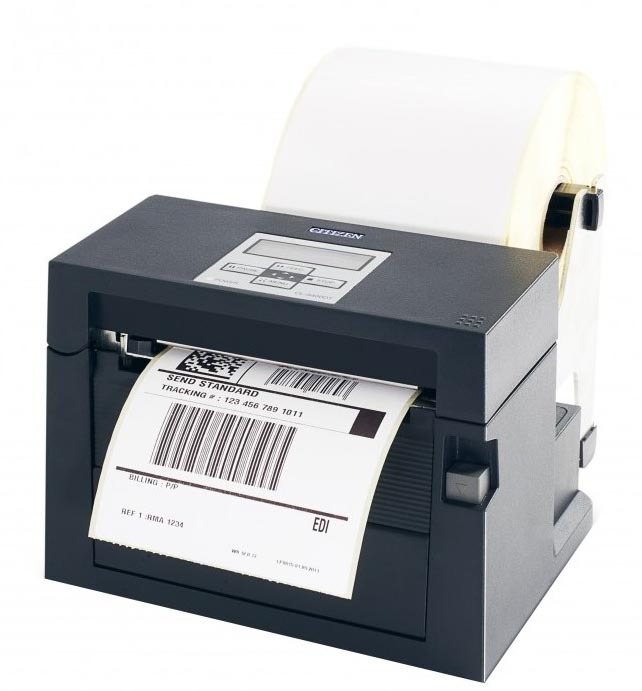 This high quality and low-cost ticketing system allow events to print barcodes and information with ease to manage entrance and provide a receipt for the customer at the same time. 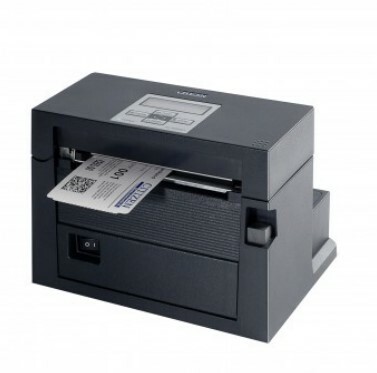 The CL-S400DT not only prints tickets. 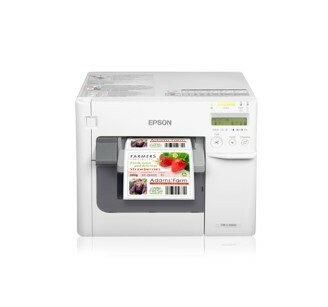 This ENERGYSTAR compliant printer can also handle standard roll media for label and receipts allowing fast printing to fulfill high-volume print tasks. Capable to work with a large range of media, it is perfect for applications in warehouse, healthcare, retail, logistics, transit, and couriers. Furthermore, its easy to read LCD panel allows the operator to easily configure and be alerted when an error occurs. 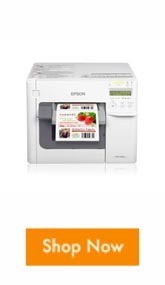 Whether you need to produce boarding passes, shipping labels, retail tags, festival, or admission tickets, this is the environmentally friendly printer for you. Its compact footprint, quick media loading, robust, and all- metal mechanism design makes the CL-S400DT easy to use and extremely reliable. Feel free to contact us if you have any questions and see how the CL-S400DT is right for your operations. 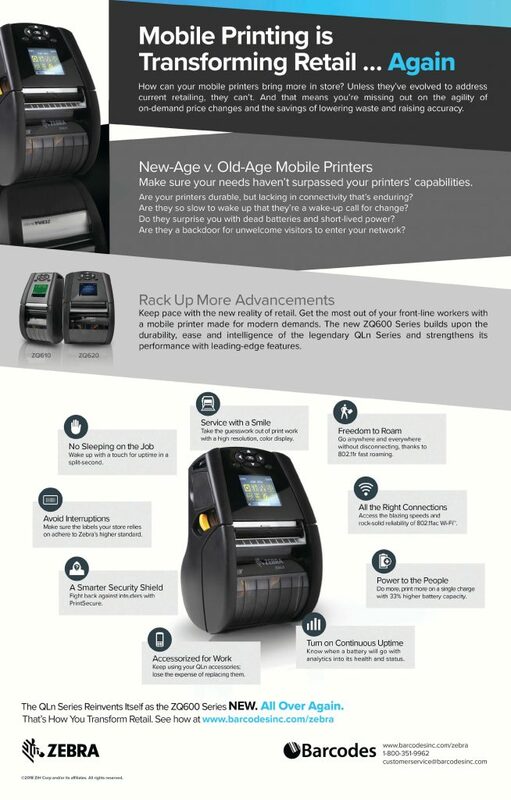 We are joining Zebra on their sales kick off in Washington D.C. from Jan 29-30th! As a premier partner with Zebra we are pleased to be asked to join this event at the Zebra Sales kick off this year. This internal Zebra event is a unique opportunity to meet with all the Zebra sales representatives in the North and Latin America Region. We will be able to capture and learn about all the latest mobility solutions for distribution, warehouse, voice picking, supply chains, and store and channel management and share them with our valued customers. Last night we sponsored the Zebra Sales Networking Event to start the kick off for the next few days. Make sure to follow us on our social media to catch all the latest mobility solutions that we encounter! RACO is now Barcodes! See Customer Benefits Below. Barcodes is proud to announce RACO is now Barcodes! Please read our customer benefits below for more info! Feel free to also contact us if you have any questions! 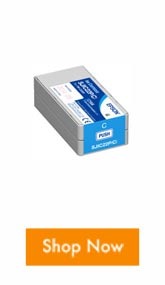 RACO’s rebrand to Barcodes simply means you have more resources and support at your disposal. You’ll continue to receive your industry leading sales and support staff. Aside from a new email address for your dedicated Account Manager, it is business as usual. We are, first and foremost, customer-focused and measure our success by how well we deliver quality solutions that meet each customer’s unique needs. We dedicate an Account Executive or Account Manager to every managed account. Complete customer satisfaction is our top priority. We have the largest professional services team in the industry. Our deployment and installation services manage device roll outs from cradle to grave. With a Midwest configuration office outside Minneapolis, MN and services offices across North America, we enable you to realize the full value of your technology through dedicated, efficient deployment management, full service onsite installation and training, and lifecycle support so that your teams have immediate and full use of their mission critical devices. This platinum support service provides you with guaranteed help desk access, technical support, and repair management. Our experienced TrueSupport teams maintain many industry certifications to help you triage device issues and manage the repair process for you. Barcodes holds premier partner relationships with all the top brands and has close working relationships with many of the OEM engineering teams. These relationships enable us to deliver inventory ahead of competitors, offer the best technologies available in the industry, provide quick fixes to device issues even if it requires engineering support, and offer competitive pricing for small to large projects while maintaining industry-leading service and support. Our customers have access to the most robust digital platform in the industry. Our online platform consists of our website for secure ordering, authorized team logins and special pricing, an online portal for returning and tracking devices in services, and asset management software to track assets. We have deep technical knowledge and industry certifications to help you design, deploy and support your barcoding, RFID and printing solutions. We started in 1994 as a barcode integrator and have grown every year since our founding. We have tens of thousands of active customers, from SMB’s to Fortune 100 clients. Our largest customer accounts for only a few percent of our revenues. 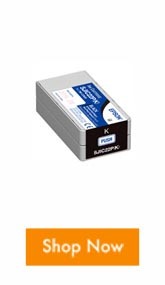 We are one of the top 5 partners for all the key brands in barcoding and RFID and we are backed by a top-tier private equity fund with capital for investment. Barcodes is proud to announce RACO is now Barcodes! Please read our FAQs below for more info! Feel free to also contact us if you have any questions! Q: Will the RACO contact information that I have continue to work? A: The phone information will remain the same as you have now. The email addresses that you have will change to the @barcodesinc.com domain. It is okay if you don’t update to the new email address immediately. The old email address will forward to the new email address for long after this branding change. 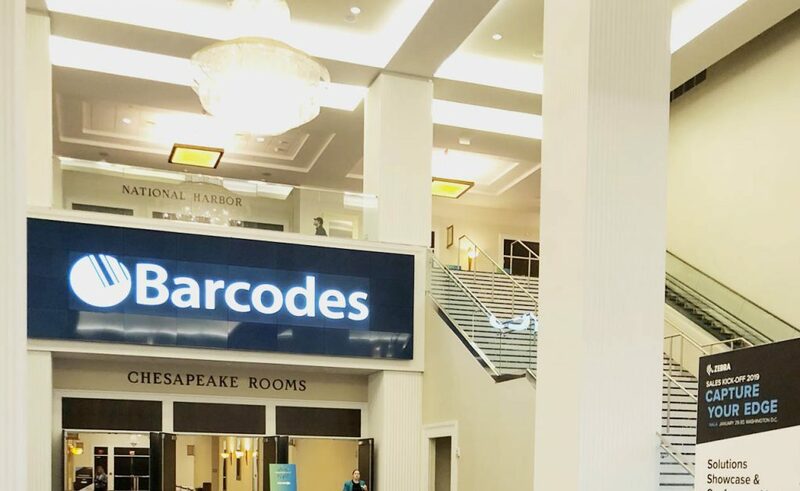 Emails received from Barcodes will be from the @barcodesinc.com email domain. Q: Will we need a new W-9 from you? A: No. The current W-9 is not affected by this branding change. Q: Will payables made out to RACO Industries still work? A: Yes. Payable information is not affected by this branding change. Q: Are we required to have an updated Tax Exemption certificate as a result of this change? A: No. The current Tax Exemption certificate is not affected by this branding change. Q: If we need to update our supplier records, who should we contact? A: The best contact for this information is your Barcodes account executive. 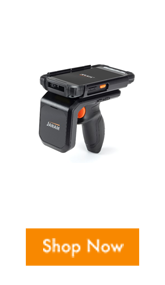 Turn your touch computer into a handheld RFID reader with the new Janam RFID sled for the XT2 Series! With the high-performance UHF RFID sled for the XT2 series touch computers you can snap it on and turn your mobile device into a RFID reader. It has been proven that RFID can identify opportunities in a warehouse to enhance day to day operations. Workers can walk through the warehouse with Janam’s XT2 with RFID reader and be able to read multiple tags simultaneously from 22 feet away. That means they can scan an pallet of goods in a few seconds creating greater efficiency and productivity in the workforce. Using RFID can improve inventory control along with eliminating errors and inaccuracies. RFID allows you to capture real-time inventory data which allows real time visibility of what materials are on the floor immediately in a fraction of the time it takes to capture data through bar code scanning. 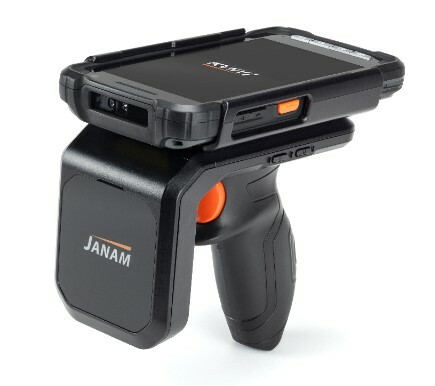 Watch the video below and see how the Janam’s XT2 Series and along with the new RFID sled can bring you more efficiency and visibility in your supply chain. Contact us if you have any questions into improving your operational efficiency and decrease downtime in your workforce. In case you missed our webinar today on Transforming Retail with RFID, you can revisit the webinar from the video below. With the changing face of retail, stores are banking on the shift to upgrades to improve the customer journey. Some major retailers have already deployed RFID to their stores such as Target, Lululemon, Macy’s, Walmart, and more. Proven business benefits includes better inventory accuracy, reduce cycle count time, reduce receiving time, improved conversion rate, increased units and sales. Ultimately visibility equals customers can find what they want to buy so associates have more time to spend with the customers and find items more quickly. Watch our webinar to see how the RFID data that are being collected are transforming retail in our stores today! Feel free to contact us if you have any questions on the process or products that you need.